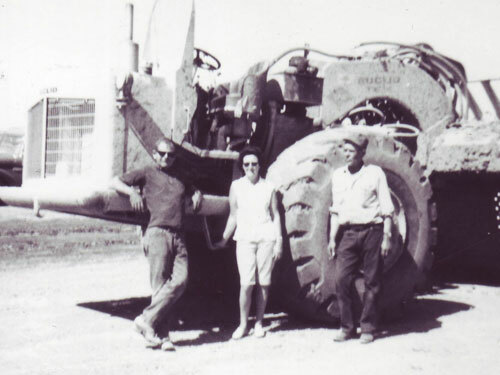 In 1964, E.H. (Ed) Oftedal and his son, Bill started a small earthmoving business in Miles City, Montana with a Cat D8 crawler tractor and a Euclid scraper. 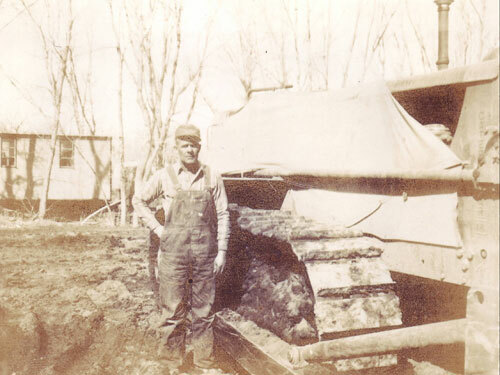 In 1964, E.H. (Ed) Oftedal and his son, Bill started a small earthmoving business in Miles City, Montana with a Cat D8 crawler tractor and a Euclid scraper. With Ed's wife Dede acting as a bookkeeper and brother Jim later joining the business, E.H. Oftedal and Sons, Inc. was officially created. The company grew in the 1970's by accomplishing earthwork contracts associated with the construction of four large coal fired generators in Colstrip, Montana. As the power plants came on line, the company began to focus on highway reconstruction and mine reclamation projects in Wyoming during the 1980's. An office and shop were established in Casper, WY. By 1985 Bill Oftedal had assumed the position of President, with his brother Jim as Vice President. During the 1990's, the company continued to grow with the addition of top managers and a reputation for high quality work. Owners both public and private were impressed with the company's ability to manage all aspects of a heavy/civil construction contract. The company was now involved in projects in Montana, Wyoming, South Dakota, and Nebraska. By the new millennia, E.H. Oftedal & Sons, Inc. had grown to become one of the largest highway contractors in the Northwestern United States. In 2002, the company was ranked #66 in the nation in the Top 300 Federal Highway Contractors list published by Transportation Builder and ranked #3 in region 8 (which includes Colorado, Montana, North Dakota, South Dakota, and Wyoming). Also in 2002, Bill and Jim began the process of selling their company to the employees through an Employee Stock Ownership Plan (ESOP). By 2008 the company was 100% employee owned. In 2007, the company officially changed the corporate name from E.H. Oftedal & Sons, Inc to Oftedal Construction, Inc. While the name changed, both the work ethic and business philosophy developed over the last 48 years continue as keystones to our ongoing success.